Hello, what have we got here? Yes it's the new (ish) DVO Diamond fork that I just had to try so after some smooth talking with Chris, the Revolution Products head honcho who brings in DVO, and they very quickly appeared at Spoke HQ. 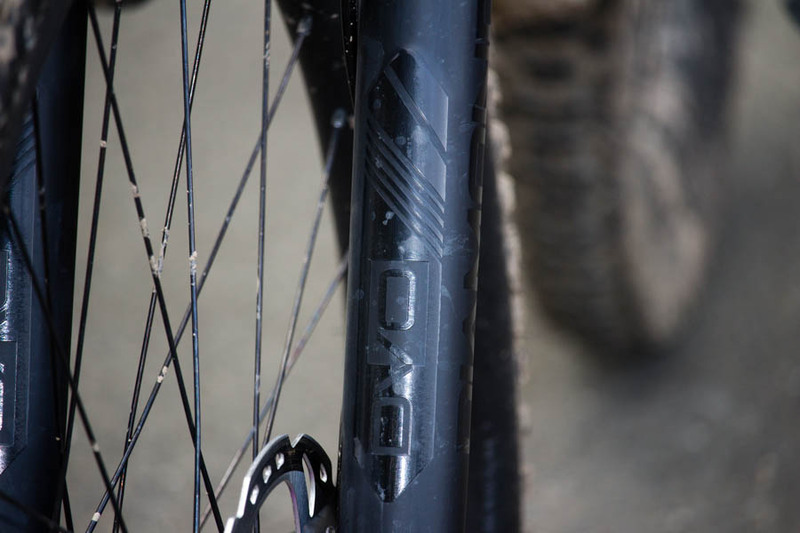 And what better bike to try out a burly 160 (or 140 or 150)mm trail fork than the much drizzled over Santa Cruz Nomad. So I got building and spent way too much money and now I'm in the dog box, but boy was it fun. If you want stealth then the Diamond has it. 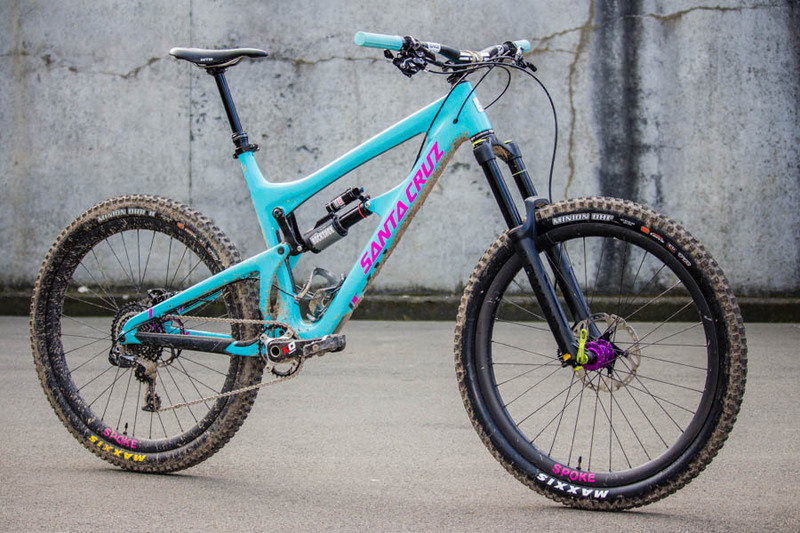 I think the graphics are etched on somehow, if you want some colour then you'll have to supply it yourself, or get the full jade green coloured fork that will seriously clash with any frame, and that look is so hot right now. 35mm black stanchions and there is a plastic screw-on mudguard that in my haste got left in the box. Matte fork with gloss grahpics. So bogan... so staunch... so cool. Yeah I know, it looks like a Pike on the outside, but she's a different kettle of fish on the inside. Adjustable coil negative spring to suit all weights of rider, and that's a first. Easily tunable damping stack. Hi and Lo speed compression damping, and a fluid tuneable air cartridge. All this makes for a fork that can be tuned for any rider in any conditions. Also supplied in the box are two travel spacers so you can run it at 140 or 150mm too. A 15mm axle with a quick release similar to the Fox system. You can just see the black hex nut under the fork lower that houses the 5mm hex bolt for tuning the negative spring. I wish it was tool-less but hey, a great feature that works so well and no-one else has it. The air goes in here, along with any oil needed to change the spring rate. Simple, effective, solid. Black Hi and green Lo speed compression knobs. There is heaps of range with all adjusters. QR axle looks a bit cheap but feels and works mint. Does it work? You bet it does. After a few thrashes in the dirt I can tell you it loves to get punished. Very supple, soaks up everything, a beautifully controlled ramp-up with a smooth bottom out, there has been nothing at all for me to even start complaining about. As you all probably know by now ('cause everyone who owns one won't shut up) the Nomad is a stiff brute of a bike that is so confident in the fast and rough that it pushes any fork to its limits, and the DVO Diamond just takes it like champ. 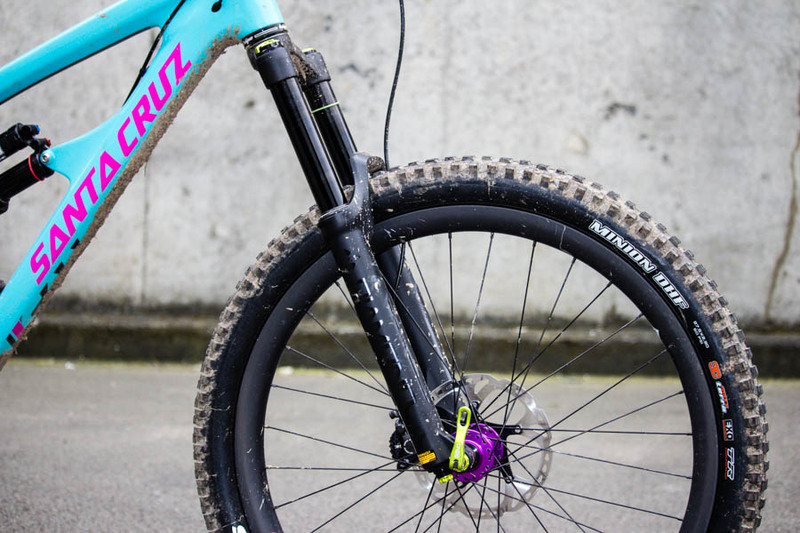 Being able to tune the negative spring on the trail is a huge bonus, you can make the fork super slippery in the beginning stroke, or stiffen it up into a race fork. At 2.1 kgs she's a bit heavier than the other great forks but for good reason. The air spring and oil damper run in separate removable cartridges (unlike the other forks that use the fork leg as the cartridge wall) which makes them very servicable. Also, the damping bladder is full of air (not oil) and compresses (not expands), which just adds to the reliability. I'm going to keep on thrashing them and will get back to you when I get bored (never).